Film4 FrightFest 2014 has moved to the prestigious Vue West End for its annual five-day horror extravaganza, which will let it show even more films and special events while keeping that feeling of its famed communal spirit in the heart of London. 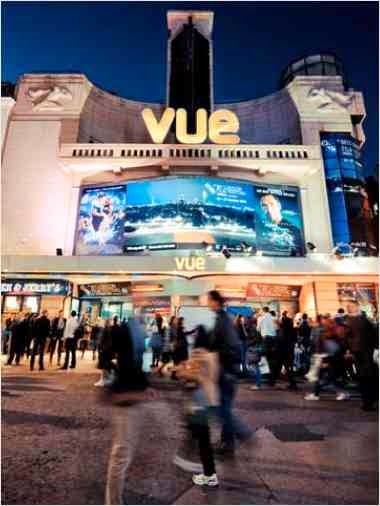 Alan Jones, FrightFest co-director, said today: “Re-locating to Vue Leicester Square for this year’s event will allow us to be even more creative and ambitious, whilst still retaining our unique blend of inclusiveness and great value for money. The beauty of the horror fantasy genre is it consistently reinvents itself to stay a fresh and vital part of the cinema-going experience. Event festivals like ours that are now an acknowledged part of the global genre fabric must lead by example to stay relevant and ahead of the game”. Previously the festival spent four years at the Odeon West End and the last five at the Empire Cinema. This year’s event will be spread over a larger number of screens, but the popular festival and day passes plus individual tickets are staying. In addition, there are planned special events in the West End in the days leading up to the start of the festival, which begins on Thursday August 21st.